Grainfield & my new camera! I recently bought a new digital SLR and this is one of the first pictures I took. 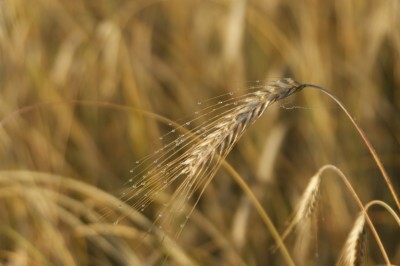 A grain field in the morning hours. It had been foggy during the night and as the sun came up, the little waterdrops on thethe spikes sparkled in the sunshine.